it’s not quite summer yet (although it sure feels like it in texas! 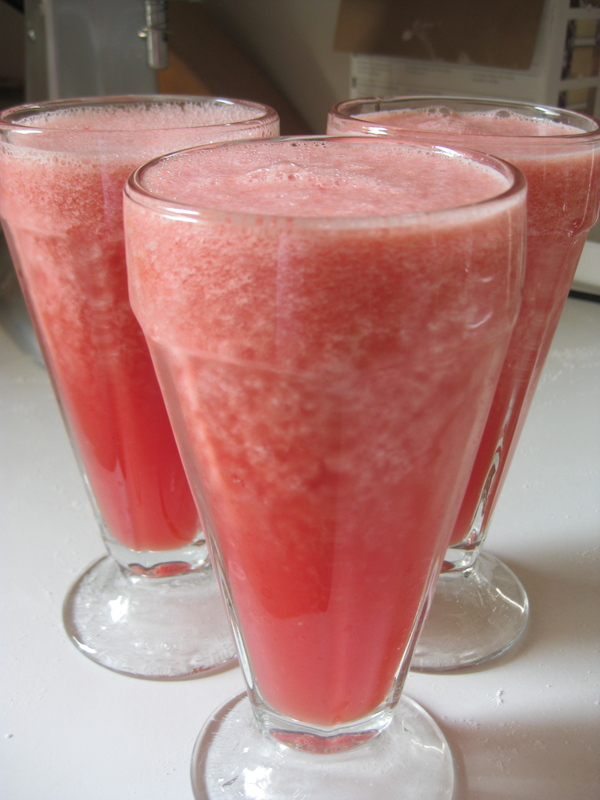 ), but i thought it was about time to eat some summer-y food: cold noodles (liang mian), watermelon juice (!! 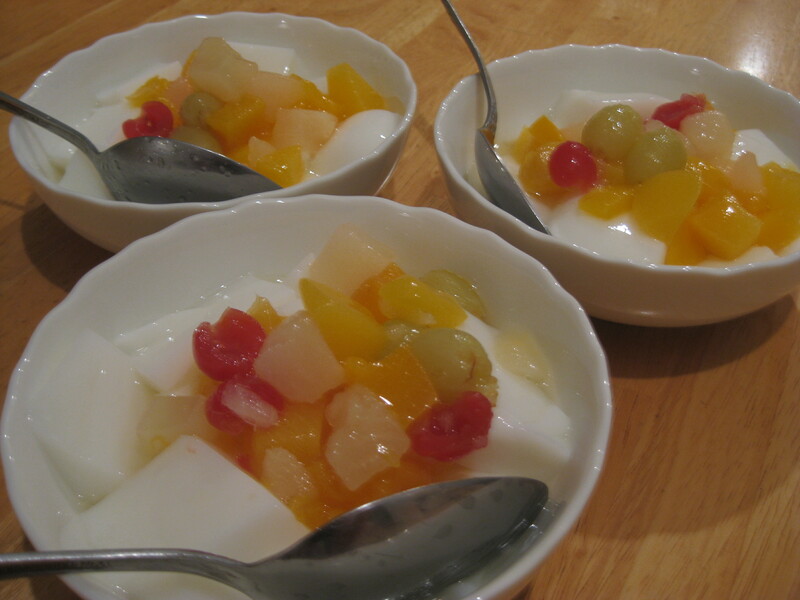 ), and almond jelly dessert. 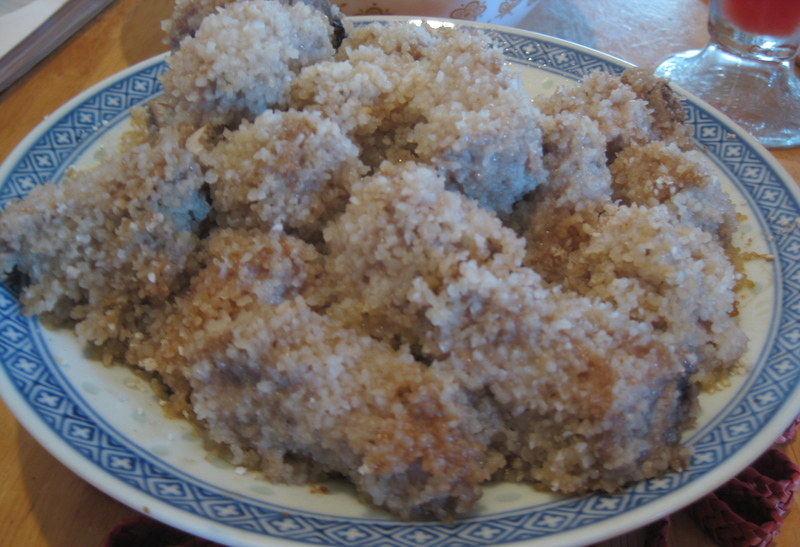 and for protein [not really summer-y], steamed pork ribs in rice powder (fen zheng pai gu). for the noodles, i busted out the kitchenaid and had two excellent sous chefs (ada & will) that helped crank out some mad noodles. 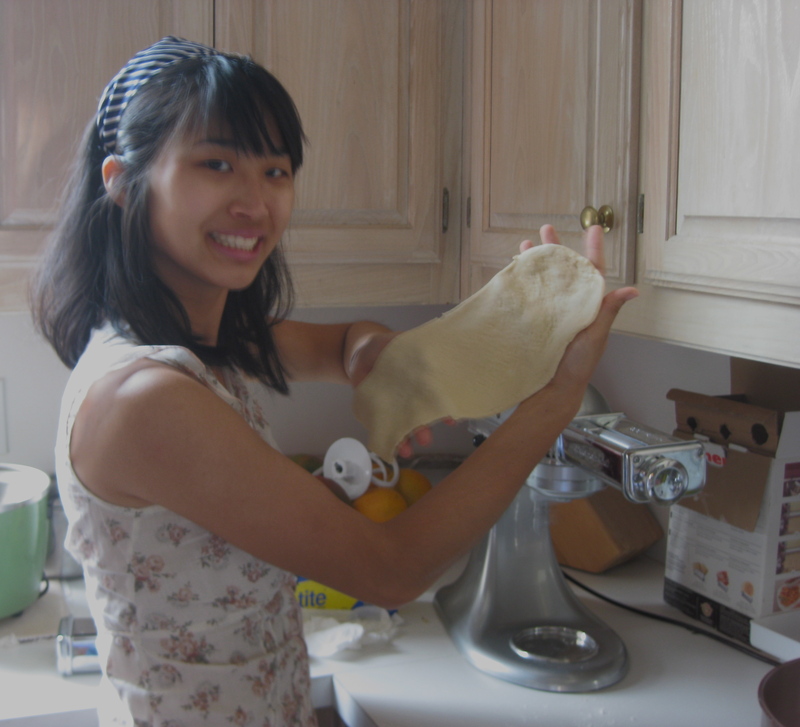 cook the noodles for 3-5 minutes (and take a picture while you’re at it). 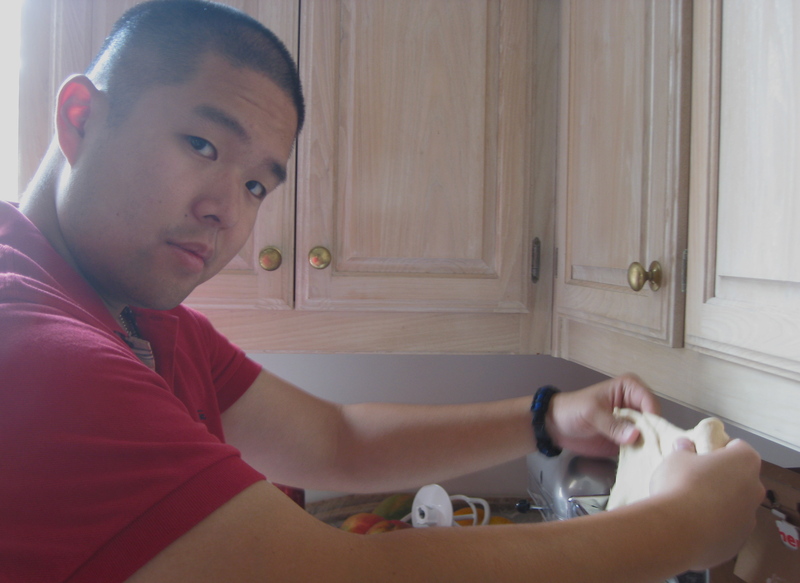 drain the noodles, rinse with water and pour ice cubes over to make noodles “cold.” when the noodles have cooled, start assembling! 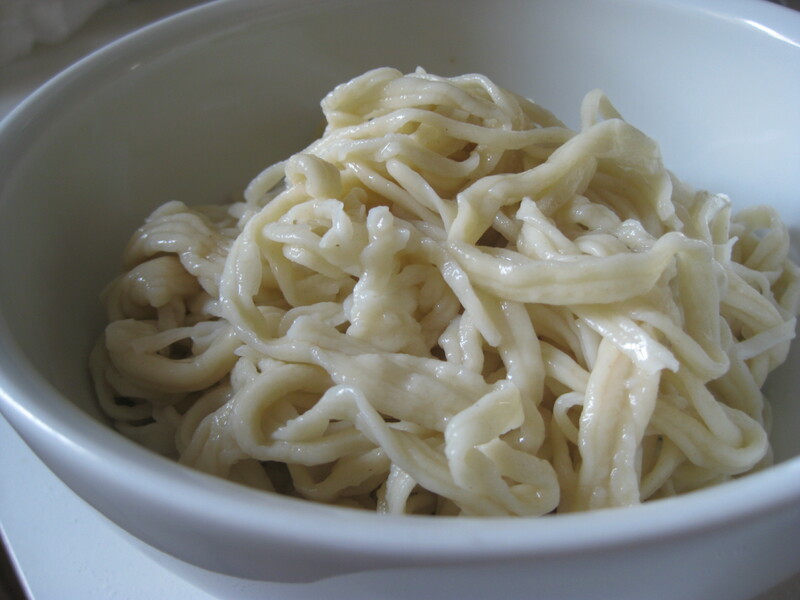 there are different variations of toppings you can use for cold noodles. 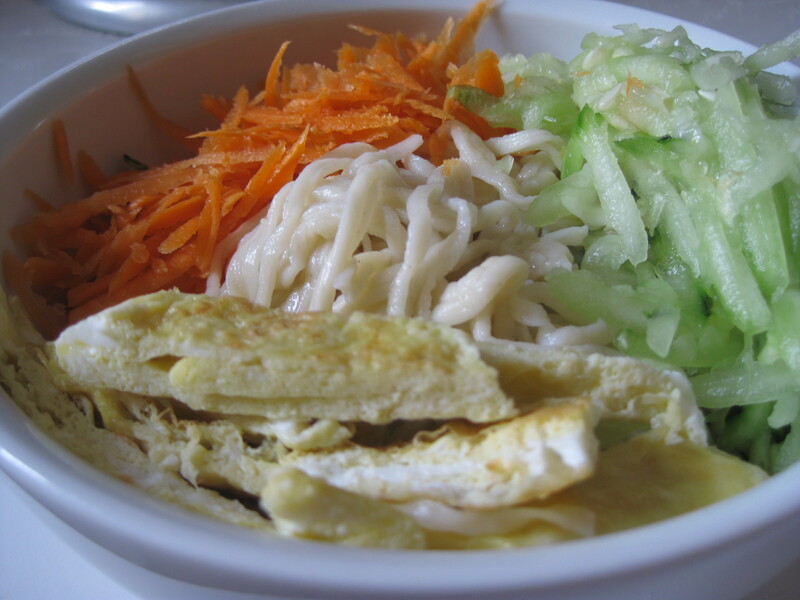 i grew up with shredded carrots, shredded cucumbers, and eggs on mine. For the sauce, we made a mixture similar to ban ban noodles mixture – soy sauce, sesame oil, white vinegar, pepper, and chili garlic sauce. 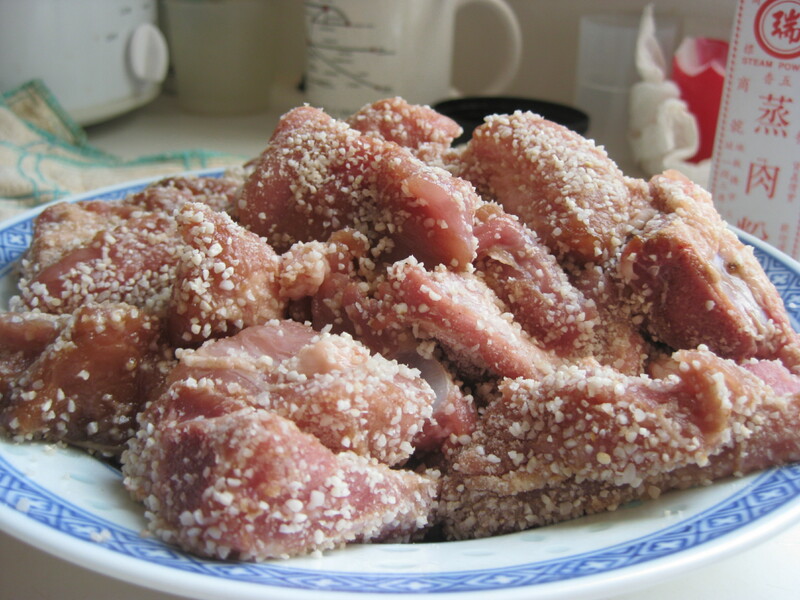 One of my favorite [and easiest] to make meat dishes is steamed pork ribs with rice powder, or “fen zheng pai gu.” First, you cut up baby pork ribs into small pieces, pour some soy sauce and sesame oil over the ribs (enough to marinate), and then coat the meat with crushed rice powder that you can buy from most asian grocery stores. place the dish in your rice cooker with enough water to steam it for 20 minutes (for mine, it’s about 3/4 cup of water). 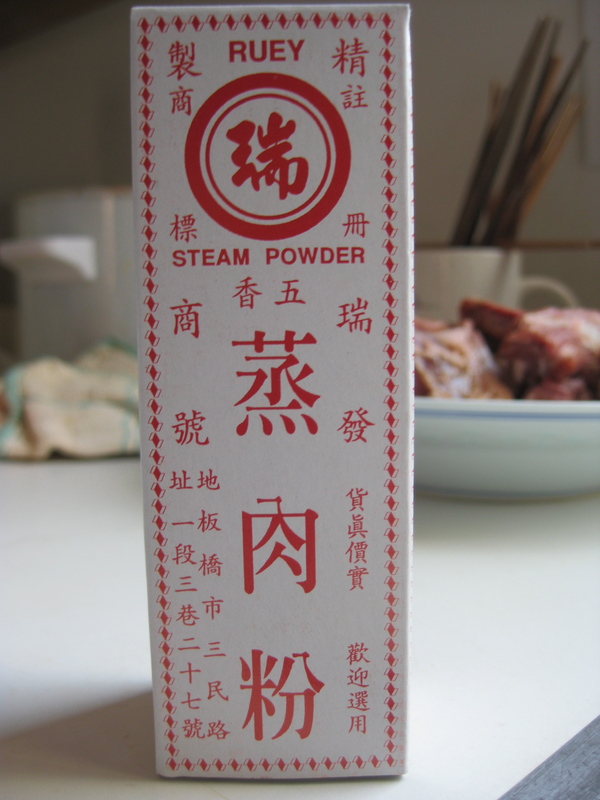 if you don’t have a steam rice cooker, you can use a stovetop steamer. what makes this dish soooo delicious is that as the rice cooks, it soaks up the soy sauce and juices from the ribs and then, you’re left with tender ribs and richly flavored mini rice. omg, we were stuffed afterwards. when given the choice for choctaw gambling or redbox night, i chose redbox night. obviously. hello gwyneth! because i’m country stroooong!